Unlike many programs that rely on processed foods and canned goods, The Food Pantry gives away mostly fresh fruits and vegetables. Thanks to the San Francisco Food Bank and its network of farmers, we give away literally tons of delicious, healthy produce every single week. And we’re always grateful for smaller, super-local donations from neighbors who offer us apples, figs, lemons and more from their backyard gardens. If you live in San Francisco and want to share what you grow, give us a call! 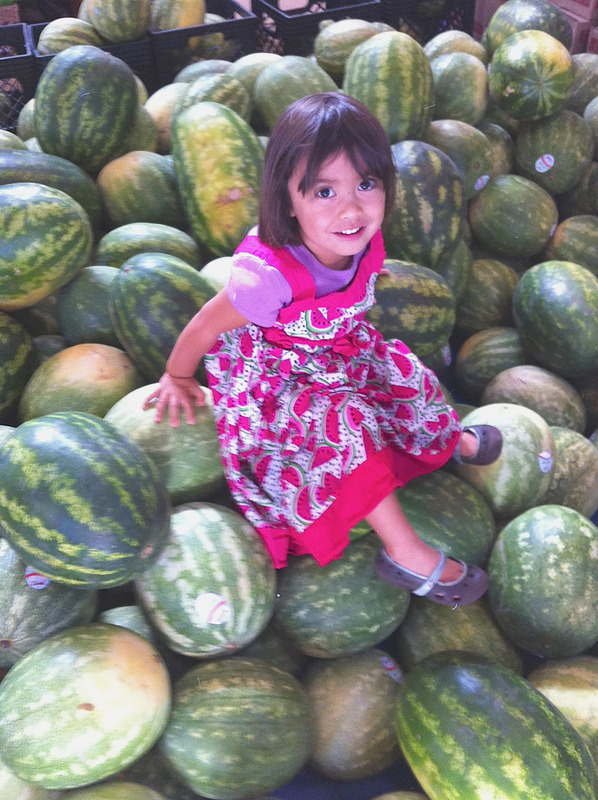 We’re still enjoying the last of a spectacular watermelon crop. Soon the citrus will come in, along with apples and pears, cabbage, turnips, potatoes, yams, beets and greens. In every season, we’re so glad to be able to give real, fresh food to the families we serve. This entry was posted on Monday, November 12th, 2012 at 12:01 pm	and is filed under Newsletter, The Food Pantry. You can follow any responses to this entry through the RSS 2.0 feed. You can leave a response, or trackback from your own site.